Several land, traffic, and zoning studies have been conducted over the past couple of months. There is disagreement among city committees as to the number of parking spots we would be required to have on the plot of land (32 versus 75) based on how they ultimately classify our building and property. If they decide we must have 75, this would greatly reduce the available square footage of our building. We’re hoping that this won’t be the case! In order to protect ourselves against this possibility, we have successfully negotiated extended payment and closing deadlines with John Madden, who currently owns the land. The original planned closing date of July 1 has been moved to December, which is when we are expected to gain city approval and also receive a determination on parking requirements. This also gives us time to fundraise and produce marketing collateral for our donor meetings. JA Board member Beth Boettcher Finke has connected us with her marketing team at Oracle, who all have major New York advertising agency backgrounds. They are going to help us produce strong case statement language and marketing materials, at no charge to JA! In December, if our project is not approved for the parking spaces we wish to have, (54) then we will not move forward with the project and our escrow payment will be refunded. please feel free to talk with Robin or a member of senior staff. The NoCO/WY Energy Challenge BAT (Anadarko vs. Noble) was a huge success! While we are still waiting on some matching gifts, when everything is said and done, this event will have raised over $60,000! Our biggest BAT event ever! Due to the success of the event, we have decided to raise our 18/19 BAT goal to $110,000. In other news, we received $10,000 from State Farm in support of our middle and high school programs in Larimer County and Weld County. As the snow began to fall outside we finally had the BAT that almost wasn’t. Even though the Steamboat BAT was 6 months delayed it was well worth the wait. The newly renovated Snow Bowl was impressive and the staff was very accommodating. All 12 lanes were full, the atmosphere was festive and I met so many new people in this great community. The night included a costume contest, raffle prizes donated by local businesses and a great 50/50! We had teachers, board members and volunteers talk about JA and our impact on students in the community. We will work hard to keep this excitement for JA going in the community. The Track 2 project for JA Business Week has been confirmed! Students will be working as consultants for Water World to help them establish a strategy for recruiting 15-21 year old seasonal employees. 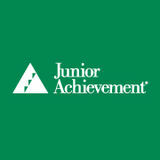 We’ve made some adjustments to the JA in a Day implementation of JA Global Marketplace Blended. It’s now only 4 sessions, and we’ve provided additional resources for volunteers. check in with a member of the programs team to find out more! At our next JA Team Pow-Wow, the Operations Team will share about their departmental operations. We need all hands on deck this spring to help out with our hectic schedule of JA in a Day events. Please sign up on the Backup Board if you have not done so already! There is some great new software/technology being used in this office!! If you or your team is needing a tool to make a task or process more efficient or organized, please let us know. We can help talk through your needs, find a tool, and get it all set up. April is budget month. We will be working with managers to develop an initial draft budget. The draft budget will be updated based on new information until final approval is received from the Board in July. If you have items that need to be included in the budget please discuss them with your manager. Anna Ewing, COO for IMA Financial, and Sean Daily, VP at Lockheed will be nominated to the board at the retreat! !8 staff members give up their sunny Saturdays to work the FirstBank Bowl-A-Thon events, and we are so appreciative of each and every one of them! I would like to give a shout out to Leah! Lori is one of our newest staff members, working on the Programs team and diving into her role as a JA Program Manager. Originally she is from New Jersey, then lived in Phoenix after college for three years with her twin sister. Colorado has been Lori’s home for the past two years. She took a long road trip with her dog Petey down the Pacific Coast Highway after leaving her job at Boy Scouts of America a couple months ago. You can also call Petey “Mr. P” if you get a chance to meet him. Her go-to fun fact is that she’s a twin, which is certainly cool, but there’s a lot more to Lori than the fact that she shares the same DNA with her sister. One of her goals is to visit all 50 states and she’s already traveled to 30 of them! (We counted to make sure). Lori’s weirdest job was in college helping her dad at his electrical contracting company, basically picking up scraps while wearing a hard hat. She is also a self-proclaimed “coffee snob,” outdoor enthusiast, focused worker, and world traveler. Forward: A Memoir by professional soccer player Abby Wambach was the last good book Lori read, telling the story of Wambach’s journey through recovery, coming out, and becoming a world-class athlete. In addition to reading, Lori also loves to watch her favorite TV shows: Orange is the New Black, Breaking Bad, Dexter, and Queer Eye. Jonathan is her favorite member of the Fab Five because he makes her laugh. However, if she could live in a TV show, it’d be Family Guy, that way she could laugh all the time. We’re thrilled to have a great new addition to the team! Katie hides them around the office! Happy Hunting! !